How does Slim Spa Medical differ from the other HCG Companies? Has the FDA approved HCG for weight loss? What is the difference between HCG Injections & HCG Oral Spray? Will I be hungry during the low calorie diet? Can I take my usual medication & vitamins during the HCG Diet? Will the HCG Diet affect my birth control? Do I have to exercise during the HCG Diet? 1. What is HCG and how does it work? Structural fat which is located between your organs, joints and bones. The use of HCG in conjunction with VLCD (Very Low Calorie Diet) produces weight loss but more specifically, fat loss. The HCG Diet will reshape your body. Your body needs reserve and structural fat but does not need abnormal fat to survive. 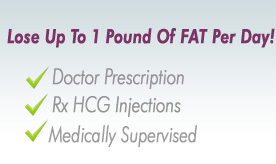 By using HCG, your body releases the unlocked calories and nutrients stored in your abnormal fat. Therefore, HCG used with VLCD will produce not only weight loss but fat loss. 2. How does Slim Spa Medical differ from the other HCG Companies? Slim Spa Medical’s Rx HCG Injections: Rx HCG is a Class 3 drug and requires a medical doctor's prescription in order to obtain it. Rx HCG differs from the oral HCG drops because Rx HCG is 100% HCG hormone whereas the oral HCG offered on the internet has only a trace amount of HCG. 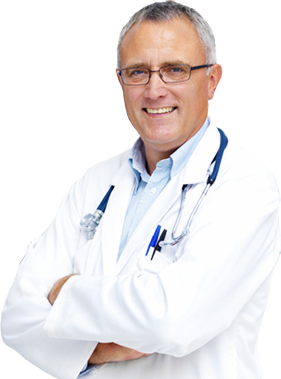 Our Medical Staff: We’re here to assist you throughout your HCG Diet. We’re available during your HCG Diet as everybody is different and we offer personalized HCG Diets with 100% Success rate. We offer both, walk in HCG Clinics and Tele-Medicine depending on where you live. Our Prices: We offer the lowest Rx HCG prices in America! HCG is extremely safe. Although rare, some may experience some mild headaches or nausea during the first week of the HCG Diet. This is due to the HCG mobilizing and reducing your abnormal fat. Although it’s true that your abnormal fat contains vitamins, minerals and nutrients, your fat also stores toxins as well. If you have stored a lot of toxins, it’s normal to feel some mild headaches or nausea as your body is detoxifying as you reduce your fat. 4. Has the FDA approved HCG for weight loss? The FDA has not approved HCG for weight loss. However, let’s keep in mind the FDA has approved Phentermine (the supposed “safe” side of the once popular diet Fen-Phen) for weight loss. Phentermine is an appetite suppressant of the amphetamine and phenethylamine class. Phentermine has many known side effects. 5. What is the difference between HCG Injections & HCG Homeopathic Spray? There are a few differences between the Pharmaceutical HCG (Injections) & the Oral HCG. In most states, Pharmaceutical HCG is classified as a class 3 drug and therefore you’ll need a doctor’s prescription to obtain it. Rx HCG is 100% HCG and comes from a compound mixing pharmacy so it's all standardized. Pharmaceutical HCG boosts hormones; testosterone in men and progesterone in women. Only contains a trace amount of HCG. FDA & FTC has determined OTC (Over The Counter) Oral HCG as fraud and is now illegal. Oral HCG does not boost hormones. 6. Can men do the HCG Diet? 7. Will I be hungry during the low calorie diet? No, because the HCG will mobilize your abnormal fat, full of calories, minerals and vitamins filling your blood with food from your fat. In fact, you’ll be surprised at how little you can eat during the HCG Diet and not feel hungry. However, some patients are addicted to carbohydrates and/or sugar so we offer natural appetite control in our HCG Diet program to control hunger pains. 8. Can I take my usual medication & vitamins during the HCG Diet? Yes. But since medications differ from one another, our medical staff will correctly advise you. 9. How much weight can I expect to lose? Generally, men perform better than woman on the HCG Diet. Men will lose an average of 1 pound of fat per day and woman will average ½ pound weight loss per day. If your BMI (Body Mass Index) is high, than expect to lose more than 1 pound of fat per day. 10. Will I keep the weight off? The first part is to mobilize your abnormal fat stores to reduce weight and inches. The second part addresses your Hypothalamus Gland. You will follow a 21 day maintenance period after you complete your HCG Diet. This part of the program (if completely correctly) will reset your body’s weight memory set point. Your Hypothalamus Gland is part of the Diencephalic System located deep inside your brain which regulates your metabolism. 11. Will the HCG Diet affect my birth control? HCG will not interfere with your birth control. 12. Do I have to exercise during the HCG Diet? Heavy cardio exercise is not needed. We do recommend you do some light walking and some light exercise if you want. The weight loss or fat loss results happen when the HCG “unlocks” your abnormal fat stores by using it in conjunction with a low calorie diet. However, we do offer the HCG Diet for athletes and the calorie intake and foods will differ on this personalized HCG Diet. Call us if you have any further questions regarding the HCG Diet.